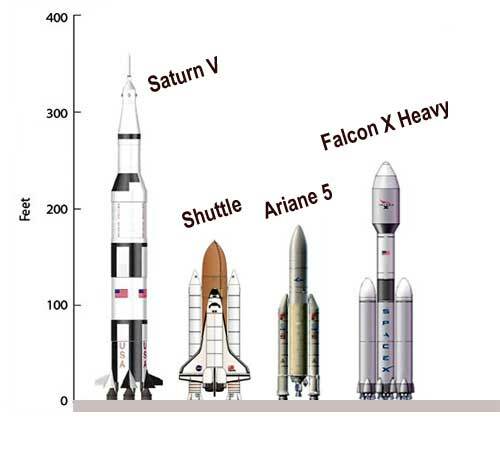 The Space Launch System, or SLS will surpass even the massive Saturn V rockets that took the first men to the moon. This new rocket is part of the Deep Space Transportation System envisioned to take astronauts to Asteroids and Mars. The SLS will take off from Kennedy Space Center in Florida using facilities that were developed to handle extremely large spacecraft like the Saturn V or the Space Shuttle. 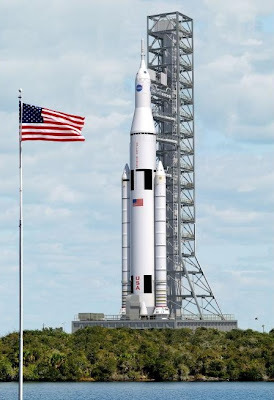 There are other rockets from America and other nations that are planning on challenging the lift capacity of this super-heavy rocket, but even these rockets do not compare to the abilities of the SLS rocket. While this new type of rocket will be the envied by the rest of the world, it is not due for it’s first launch until 2017. While this is a long time, it will allow the USA access to the solar system that no other nation has. Recently, other large space programs have been on the budget cutting block lately due to financial constraints but hopefully this program will survive to keep America in the lead of the space race. Before the SLS, the largest rocket ever made was the Saturn V. This rocket was used in all of the manned moon landings because it was able to lift enough men and equipment to successfully explore the moon. The Saturn V had a lift capacity of 262,000 pounds to LEO, while the SLS is expected to eventually have a lift capacity of 280,000 to LEO. 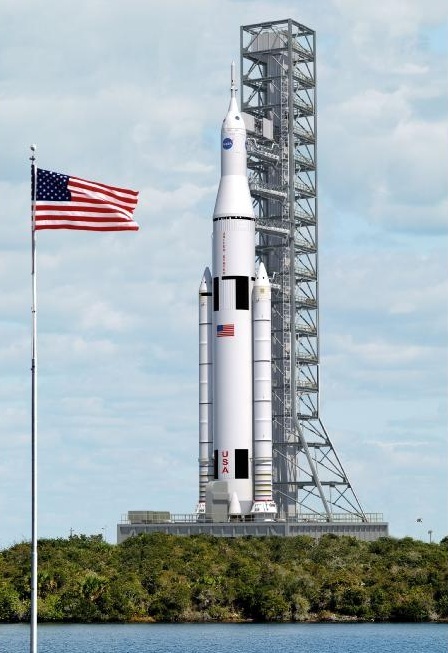 While the Saturn V was 363 feet tall, the SLS will be taller at about 400 feet tall. Indeed the Saturn V was a tremendous achievement at the time and they even launched the Skylab space station into orbit allowing the USA to have it’s first space station. Unfortunately at a cost of about $1.1 Billion in today’s money, the nation could no longer afford these monster rockets. The SLS will provide a launch system to transport humans into deep space. 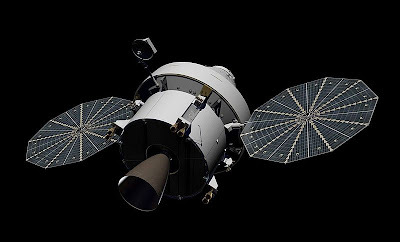 NASA will put the Orion Multi-Purpose Crew Vehicle (MPCV) atop the SLS for trips into deep space for between 21 days and 6 months. This MPCV will be able to support humans in deep space and survive the increased velocities of a deep space orbital re-entry. This combination of SLS and Orion MPCV will also be able to transport crew to and from the International Space Station. The big missions will feature the MPCV and SLS launching to asteroids and possibly even Mars within the next two decades. While this will be an extremely proficient rocket for launching large payloads, there are other super-heavy lift rockets in development and in use around the world. The USA is currently using both the Atlas V (64,860lb to Low Earth Orbit) and the Delta IV (49,740lb to LEO) rockets for heavy payloads. The ESA is using the Ariane 5 (46,300lb to LEO) Russia is using the Proton (46,000lb to LEO), and the Japanese H-IIA (33,069lb to LEO) are currently used around the world to launch heavy payloads into orbit. American corporation Space X’s Falcon Heavy is under development to lift 117,000lb to LEO and Russia is also developing the Angara A7 to lift 90,200lb to LEO. 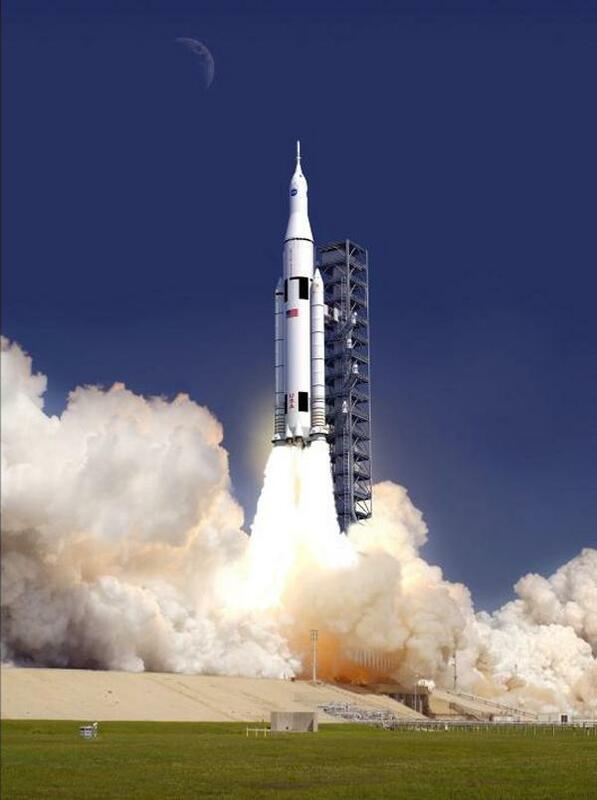 Even with rockets under development,being considered the SLS will be the largest most powerful rocket when designed. We will have to wait at least until 2017 before the SLS will take off for it’s first flight, and 2021 before the first manned flight. The Constellation program preceded the SLS and was cancelled due to cost overruns and inability to meet deadlines. 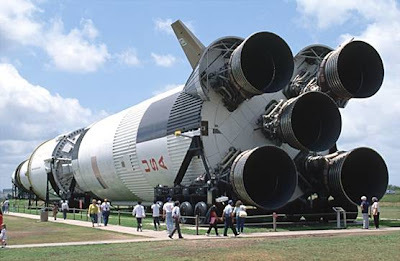 Saturn V rockets were of similar capability, but when the USA lost interest in the Moon landings they were also cut due to the enormous cost of these huge rockets. It is estimated that the SLS will cost between $18B for the first flight to $41B for about 13 launches between 2017 and 2030, which is not a small figure especially considering budget cuts and economic uncertainty. If we want to keep the USA at the leading edge of space flight, the SLS will do that and more. It will allow Americans manned access to the entire inner solar system that no other nation has or will have within the next 30 years - as long as the SLS program continues on time and on budget.